Improve your musical knowledge whether you are completely new to reading music, or experienced and looking to hone your skills. Erin delivers an exceptional lesson experience and ranks in the top 15% of our teachers nationwide. I have a Master's in Vocal Performance from Portland State University, and over a decade of vocal training and performance experience. 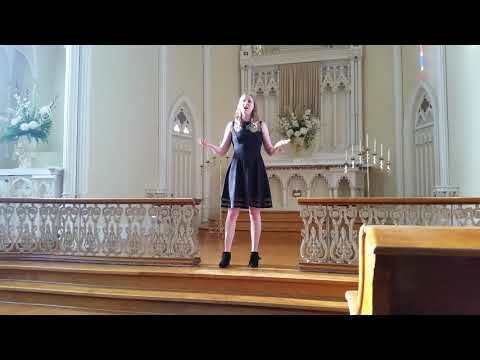 I teach voice lessons to kids, teenagers, and adults, ranging in ability from beginner to experienced. I have helped the beginning students learn to match pitch and read notes on the staff. My voice students learn to sing with purer vowels, increased breath support, and to access greater vocal range. I teach beginning piano to all ages. I teach students as young as 5 as long as they are able to stay focused for the duration of a half hour lesson. Most of my piano students are in the 7 -10 range, but I teach some beginning adults as well. I travel to some students in N and NE Portland, but I vastly prefer to have students come to me. For students in Vancouver, WA, I do ask that they come to me. Voice students will learn to improve their technique through proper breathing, correct vowels, space, and resonance. I teach repertoire based on the students' interest, but I am well versed in classical and operatic repertoire in English, French, German, and Italian, as well as some musical theatre and jazz. I also teach pop songs for those who are interested. I can help you improve your technique for whatever style of music you want to sing. For adults, I recommend an hour voice lesson. For kids, I recommend a half hour voice lesson, and half hour of piano if they are not already taking it. Piano students will learn to read music, play with correct form, learn scales, and improve their musicianship skills. I teach out of lesson books (mostly Faber) to improve technique, but I want students to learn supplemental pieces that are fun for them as well. For piano beginners, I recommend 30 minutes. Once the student is a little more experienced, I like to have them for 45 minutes. I hope to share with you the same joy I get from making music! My studio at home has a piano, my music library, a large mirror for aiding the student in observing their vocal habits. For in home lessons, students will need to have a keyboard or a piano in a space free of distractions. Students should have a neat, three ring binder to hold any loose sheet music. Piano students need a regular notebook to write lesson assignments. I specialize in teaching classical art songs and musical theatre. I teach voice and piano lessons to ages 5+. I teach voice and beginning piano lessons to kids. I teach voice, piano, and music theory lessons to ages 5 - 99. Worked as a substitute teacher for private piano and voice lessons. 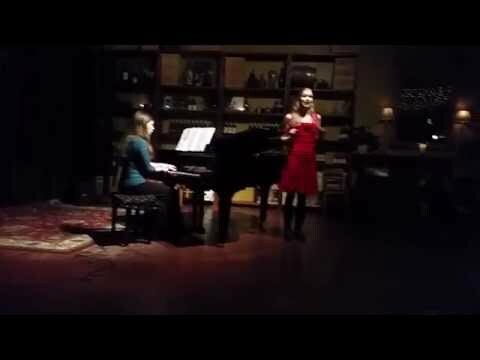 This is me singing Adele's second aria from Die Fledermaus at a performance with Opera on Tap Portland. Erin is great, highly recommend her! Her home/studio was difficult to find! Lesson seemed to go well. I'm learning so much having lessons with Erin. She's a great teacher! She is absolutely awesome, very knowlagabl and great with kids. My son loves her lessons. She is absolutely great, my 6 years old son had a blast and we are so excited. Erin is extremely patient and talented in her abilities to work with a five year old. I'm very pleased to have found someone like her. I enjoyed how patient she was with me. She has an amazing voice! lessons. According to her, Erin is an excellent teacher. She’s fun, easygoing and friendly. Payge loves her a lot. I have had three lessons with Erin so far and she is great. She is nice and funny! I had 3 lessons from her. She is a very patient teacher; her instruction is progressive and methodical. I really enjoy learning things I had no idea before. Her instruction really has widen my breath of knowledge in voice. I have been learning from Erin for about 6 months, she has shown me how to do things with my voice I never thought I could ever do!! She is really patient, but holds me to a high standard as well. Lots of fun, and easy to be around too. Great experience! Erin is a very knowledgeable instructor in both voice and piano. I have been taking lessons from her in my home for about 3 months now and I have made HUGE strides in my ability to sing on key (which was close to zero before I started lessons with her) and my ability to read music and play the piano which I gave up on when I was 8 years old. Erin is professional, patient, understanding and very reliable and I would highly recommend her. Her valuable instruction has opened a whole new world for me! Erin is just wonderful--helpful, supportive, and fun! I came to Erin after several years away from singing, and she got me right back up to speed quickly and completely--better than ever, in fact! We've worked on pieces that I've always wanted to work on, but she has also exposed me to all kinds of music that I hadn't known, and each piece has been exciting, challenging, and rewarding to sing. Erin has always been completely reliable and professional, and an expert communicator. The few times she's ever given me feedback or instructions that I didn't understand immediately, she was able to communicate the idea in another way, and she's always completely open to questions. She's really just completely comfortable to talk to. Even when I struggled in her lessons from time to time, I never once felt frustrated or discouraged, and always came out on top. Working with Erin, my technique, artistry, and confidence have all soared, and each lesson has been a joy. Erin is as knowledgeable as she is talented, and simply a delightful human being. I'd give her three thumbs up if I had an extra hand!